Federal Judge William Pauley last week all but asked the question outright in open court: Is the New York City Housing Authority even fixable? The evidence keeps rolling in to suggest it’s not. No one really has a good answer to that. After all, NYCHA needs $32 billion for basic repairs over the next few years. If it doesn’t get that cash bath, the Citizens Budget Commission has warned, by 2027 some 90 percent of its units will be too far gone for repairs to make any sense. Meanwhile, experienced execs keep leaving — sometimes just days after the feds raid their offices. Prosecutors may yet file criminal charges against whoever made the Bloomberg-era call to start lying to the feds about the agency’s lead-paint compliance. The agency’s acting head, Stanley Brez-enoff, is 80 — and it’s hard to see what ambitious young leader would ever take the job. Every day brings more bad news: further delays in lead-paint inspections and mold-remediation, and more. An entire project in the Rockaways recently lost gas service; the emergency fix could take two months. 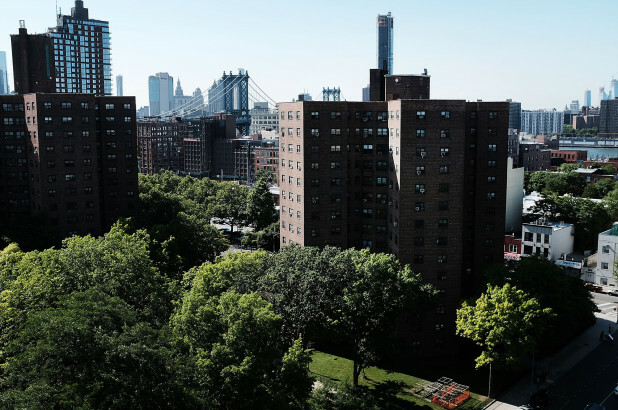 “Expedited” repairs of the boilers that left 320,000 NYCHA residents without heat or hot water last winter will take two years — and that’s just the promise. Meanwhile, NYCHA’s unions resist any effort at schedules other than 9-5 on weekdays — which is sheer lunacy when it comes to building maintenance. Most of the politicians pushing #AbolishICE say some new agency can take over to do the job right. On that logic, it’s time to start talking about #AbolishNYCHA — because there’s no sign it can ever again do its work properly.